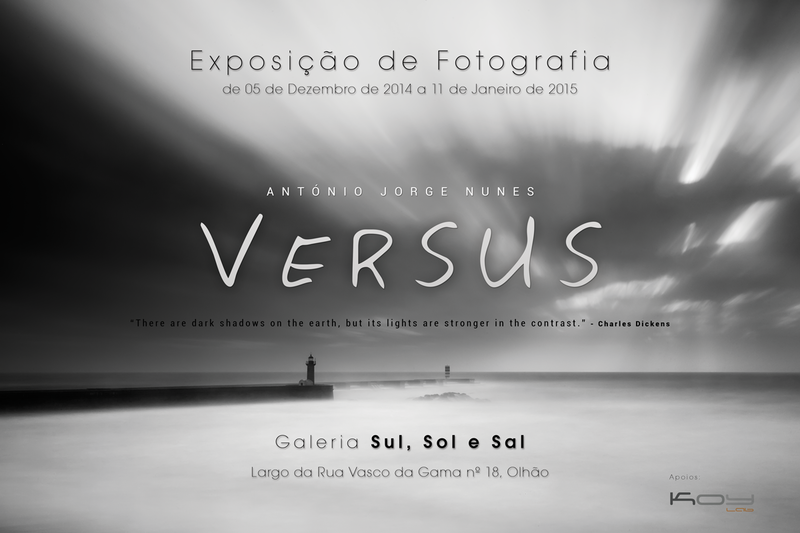 Opens next Friday, December 5th, on “Sol, Sul e Sal” Gallery, in Olhão, Algarve, Portugal. VERSUS is a set of emotions, of contrasts, of how between just looking or really seeing, the light reveals itself among the shadows confirming the certainty that nothing exists without its opposition, how not everything is what it seems, how if we slow down – as a photograph stops the time – every day, everywhere, something exists to show us the tremendous balance that surrounds us. 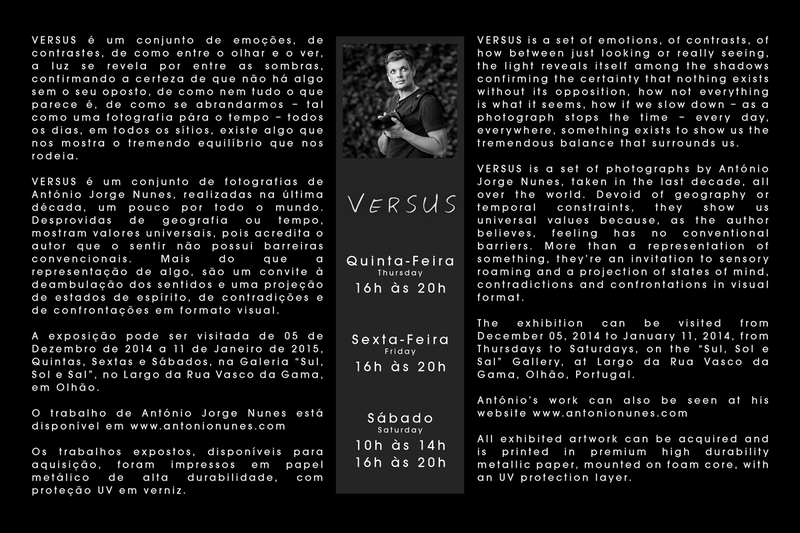 VERSUS is a set of photographs by António Jorge Nunes, taken in the last decade, all over the world. Devoid of geography or temporal constraints, they show us universal values because, as the author believes, feeling has no conventional barriers. More than a representation of something, they’re an invitation to sensory roaming and a projection of states of mind, contradictions and confrontations in visual format. The exhibition can be visited from December 05, 2014 to January 11, 2014, from Thursdays to Saturdays, on the “Sul, Sol e Sal” Gallery, at Largo da Rua Vasco da Gama, Olhão, Portugal.